Xero is the best system to manage all your bookkeeping and accounting details. It includes a wealth of features, ranging from bank reconciliation and invoicing to payments, payroll, quotes, tax information exports and more. For a free invoice template, use this one from Quickbooks. Getting paid on time and managing cash flow are two of the biggest challenges for any small business. Especially if you provide services and have to settle for 30-60-90 day payment terms, which can really put you in a bind at times. We rely on Fundbox to cover the gaps. It allows you to get paid in full on payments you are owed by clients. You get the money in your bank account within 24-48 hours. You then have three months to pay it back, with a sliding scale of low-cost fees on top of your original invoice amount. The faster you pay, the less you owe. It’s easy to set up a free account and connect it with your accounting/bookkeeping system (Fundbox works with all the major ones including Xero, Quickbooks, Wave, Harvest and Freshbooks). Then, simply choose one or more outstanding invoices and wait for the money to show up in your bank account. Personally, we love the service at Northwest Registered Agent. They are the firm we turned to when we incorporated Go For Launch as a Limited Liability Company (LLC). LegalZoom is also a top choice for many when it comes to help with incorporating your business and taking care of other small business legal matters. We use Dashlane as our password manager. It is critical to use unique, strong passwords for every site you sign up for. Having a high-quality, affordable phone service is a must for a small business. We recommend Evoice. Ninja Outreach is an affordable and useful tool for identifying top bloggers and other influencers you wish to reach. You can also use it as a sales prospecting tool and CRM system. We use the ConvertKit platform to build our email list and manage all our email campaigns. It has a lot more features than other email providers and is much easier to use! To capture email addresses, we also use the awesome plugin OptinMonster. It is a great system for converting casual site visitors into email subscribers, and there are tons of options for how you style your forms and make them appear on your site. We use Heyo to run Facebook contests and promotions. Weblium is our favorite landing page builder. More small businesses should discover the many uses of Weblium for quickly creating attractive, affordable landing pages that convert visitors into prospects and customers. Use Weblium promo code QAP6S26 to get 25% off any paid plan. To really take your sales funnels to the next level, consider ClickFunnels. It is ideal for creating complex lead capture systems quickly. Get high-quality content from freelance writers with Scripted. They excel at content including blog posts, web pages, press releases and video scripts. For affordable graphic design, 99Designs is a popular option. We have also used Crowdspring with good results. For do-it-yourself graphics, we use Canva extensively. John Jonas’ Replace Myself is an excellent source for finding virtual assistants, as is Chris Ducker’s Virtual Staff Finder. Podcasting is gaining in popularity among consumers. As a result, there are huge opportunities for small businesses to market themselves through a podcast. Go For Launch is part of the world’s largest and best podcasting community, Podcasters Paradise. Don’t forget to check out our top podcast for entrepreneurs and are free podcast setup course. * Note: You will get the current month free if you sign up after the second day of the month, followed by the next month free. Make sure you sign up for the highest level you think you will need because you cannot switch during the free trial—if you do, billing will kick in. Finally, if you remove your credit card information before the first full month ends, your Libsyn account will be closed. We have used a gazillion project management systems. The ones we gravitate toward the most are Trello and Process Street. Be sure to check out the interview with Vinay Patankar, CEO of Process Street. WordPress is the best website platform for small businesses, and WP Engine is one of the most robust and dedicated WordPress hosting companies. They are the hosting provider of Go For Launch. We also recommend Bluehost as a very affordable and reliable option. Refer to our podcast for more information on how to select a Web host: What’s the Best Web Hosting Company For Your Business? We use GoDaddy and IWantMyName to register and manage our domain names. Once we register domain names, we use Google Apps to set up email addresses (plus all the other great tools that come with Google such as Drive, Calendar, etc.). Pretty Link is the best way to set up “prettier” URLs for your blog posts, pages, affiliate links, etc. An example is www.goforlaunch.io/prettylink! 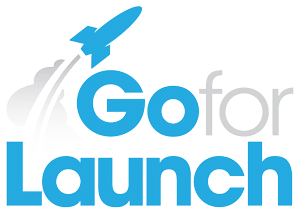 Go For Launch uses the amazingly versatile X Theme for WordPress. MyThemeShop is another resource for killer premium WordPress templates and plugins. We use the Elevtr plugin to create and embed forms—it’s a huge time saver! If you use WooCommerce on your site and need support, check out Wooguru…it’s pretty awesome and affordable. Instapage is the best landing page builder. More small businesses should discover the many uses of Instapage for quickly building gorgeous landing pages that convert visitors into prospects and customers.